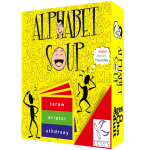 ENJOIIIIII your fun time with the little ones or let them just explore and have fun with their peers in this high interactive energy game. 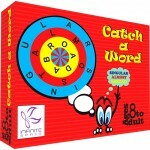 You can use and carry it in all the waiting rooms, travels, dinner tables, birthday parties etc. Encourage your child to develop innovative and creative muscles in a fun way. Keep the deck of cards inverted in the center. One player picks up the card and places it on his/her head without looking at the card himself/herself. The fellow players will explain the picture on the card through acting. They are not allowed to talk and are required to act the name by using different gestures, facial expressions and body language. The motive is to name the card picture by guessing the actions of the player. If the player guesses correctly he/she will keep the card and if not, the card goes back into the deck. 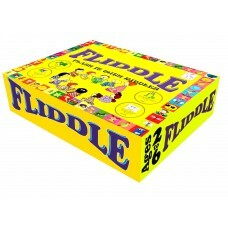 Players take turns in this. Keep the deck of cards inverted in the centre. One player picks up a card without showing the picture to other players and starts reading the clues one by one. Whoever cracks the clues first gets the card. The player who collects the maximum cards is the winner. 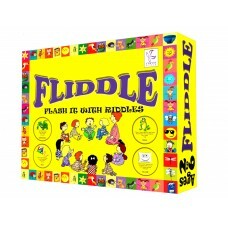 Players take turns in this. Introduce your child to various professions, things, birds, animals, fruits and vegetables with this set of FLIDDLE cards by reading them the basic facts & showing them the pictures. 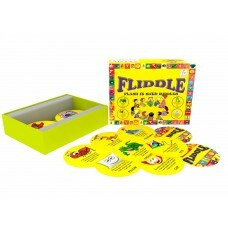 Fliddle is a flash card game for young ones with the twist of riddles in it. These are cards with basic facts and pictures for the little learners to know more about the world around them in a fun and exciting way.